It seems that Nicole Scherzinger has finally bowed to the pressure and said yes to Lewis Hamilton. Reports are doing the rounds that the couple have finally taken the plunge and gotten engaged. 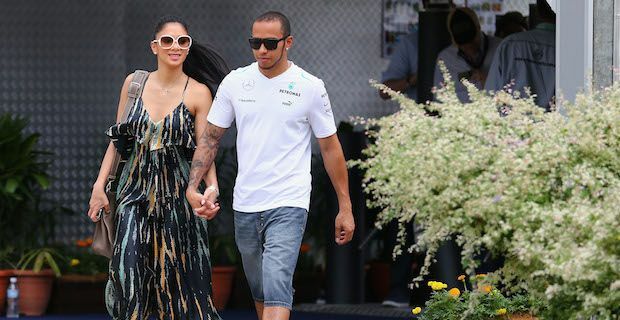 It is due in no small parts to the persistence of Formula 1 star Hamilton as he has proposed to Scherzinger on a number of occasions previously only to have his advances rebuffed. This should be a lesson to all men to keep the faith when it comes to the woman of your dreams. The relationship has certainly been of the helter skelter variety as the duo have had to balance making time for each other with very busy and successful careers. In total they have been together for about 5 years at this stage although there have been a number of breaks in that time period. Hamilton is currently based in Switzerland and it is believed that the couple will make their home their together after a wedding that is rumoured to be shaping up for this summer. This is due to the busy Formula 1 calendar which winds down for a month in the summer. Scherzinger is in currently in the middle of a very busy year where she quit The X Factor in order to focus on her singing for 2014. But she is going to have to manage to make some time to plan a wedding.